While Brown v. Board of Education remains much more famous, Mendez v. Westminster School District (1947) was actually the first case in which segregation in education was successfully challenged in federal court. Finally giving Mendez its due, Philippa Strum provides a concise and compelling account of its legal issues and legacy, while retaining its essential human face: that of Mexican Americans unwilling to accept second-class citizenship. 1945 Gonzalo and Felcitas Mendez, California farmers, sent their children off to the local school, only to be told that the youngsters would have to attend a separate facility reserved for Mexican Americans. In response the Mndezes and other aggrieved parents from nearby school districts went to federal court to challenge the segregation. Uniquely, they did not claim racial discrimination, since Mexicans were legally considered white, but rather discrimination based on ancestry and supposed "language deficiency" that denied their children their Fourteenth Amendment rights to equal protection under the law. In 1945 Gonzalo and Felicitas Mendez, California farmers, sent their children off to the local school, only to be told that the youngsters would have to attend a separate facility reserved for Mexican Americans. In response the Mendezes and other aggrieved parents from nearby school districts went to federal court to challenge the segregation. Uniquely, they did not claim racial discrimination, since Mexicans were legally considered white, but rather discrimination based on ancestry and supposed "language deficiency" that denied their children their Fourteenth Amendment rights to equal protection under the law. Strum tells how, thanks to attorney David Marcus's carefully crafted arguments, federal district court judge Paul McCormick came to support the plaintiffs on the grounds that the social, psychological, and pedagogical costs of segregated education were damaging to Mexican-American children. The school districts claimed that federal courts had no jurisdiction over education, but the Ninth Circuit upheld McCormick's decision, ruling that the schools' actions violated California law. The appeal to the Ninth Circuit was supported by amicus briefs from leading civil liberties organizations, including the NAACP, which a few years later would adapt the arguments of Mendez in representing the plaintiffs in Brown. Strum effectively weaves together narrative and analysis with personality portraits to create a highly readable and accessible story, allowing us to hear the voices of all the protagonists. She also presents the issues evenhandedly, effectively balancing her presentation of arguments by both the plaintiffs and the schools that sought to continue the segregation of Mexican-American students. 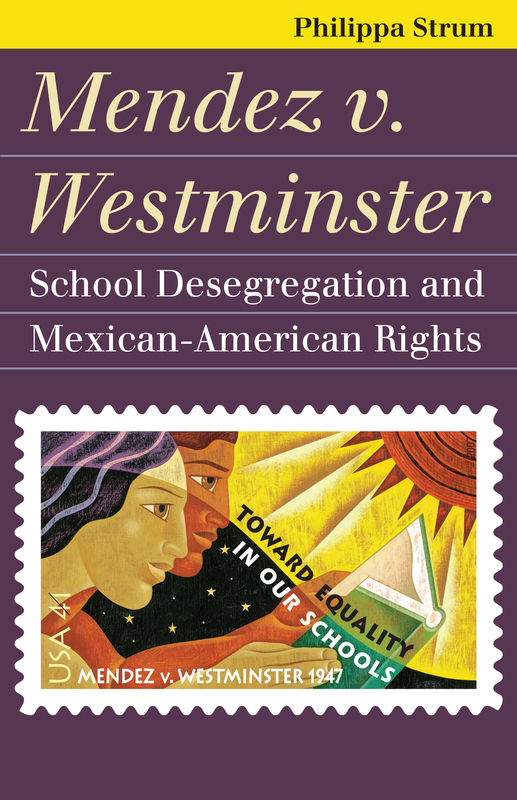 Ultimately, Mendez highlights how Mexican Americans took the lead to secure their civil rights and demonstrates how organization, courage, and persistence in the Mexican-American communities could overcome the racism of the school boards. Their inspiring example is particularly timely given the current controversies over immigration and the growing national interest in Latino life. Philippa Strum is Resident Senior Scholar at the Woodrow Wilson International Center and author of Women in the Barracks: The VMI Case and Equal Rights and When the Nazis Came to Skokie: Freedom for Speech We Hate, among others.